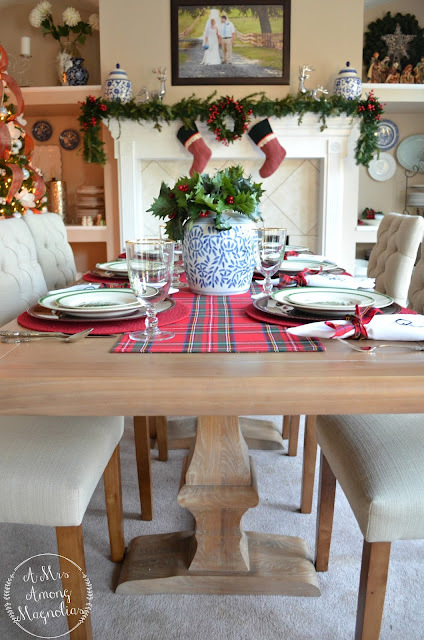 So, I was originally planning on starting on a little home tour today, but my brain had other ideas! 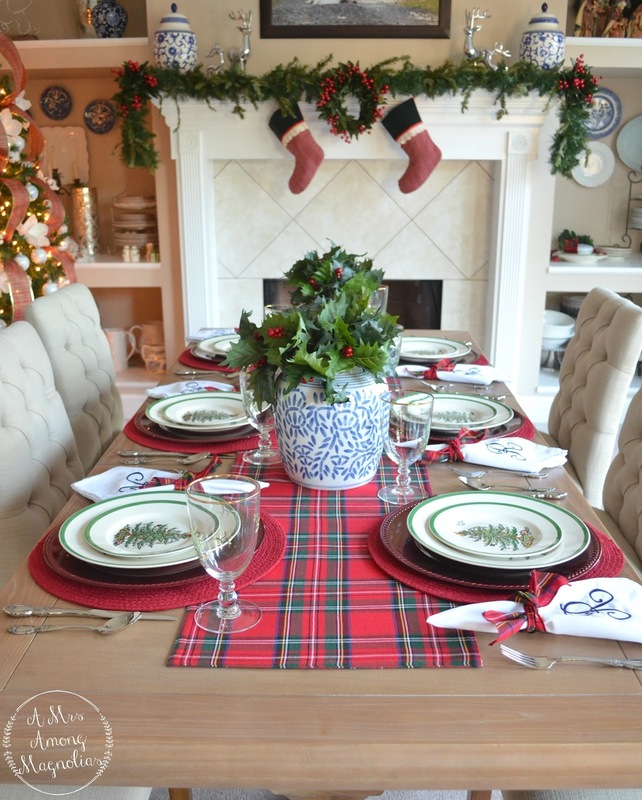 I thought I would only be able to create 4 or 5 tablescapes at the most when I first started working on them back in November. But today is number 7! 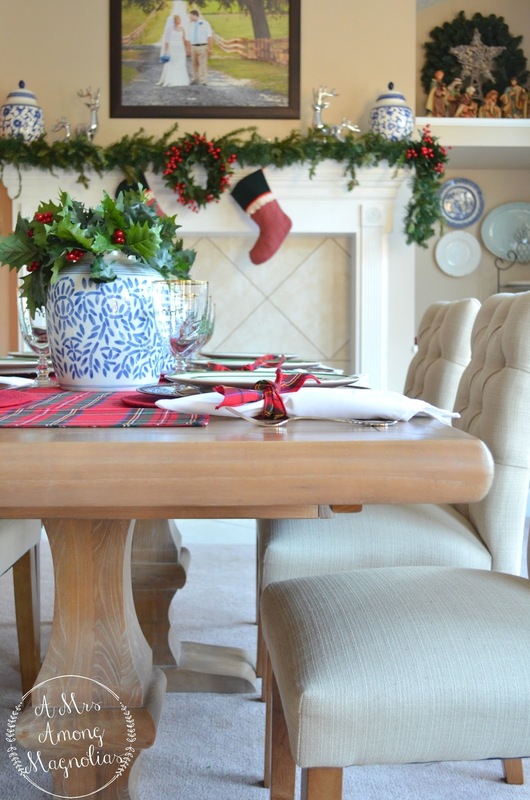 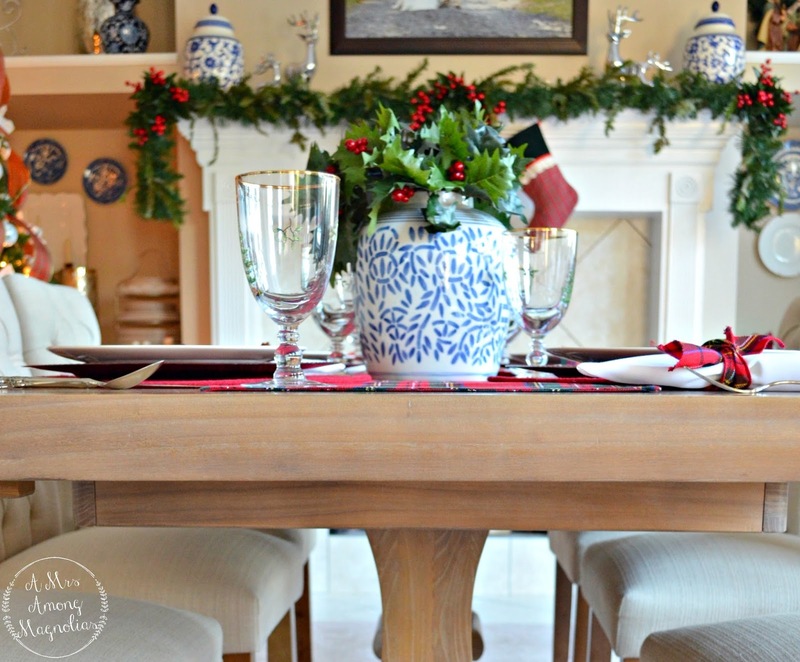 This could be the perfect setting for a Christmas family dinner. 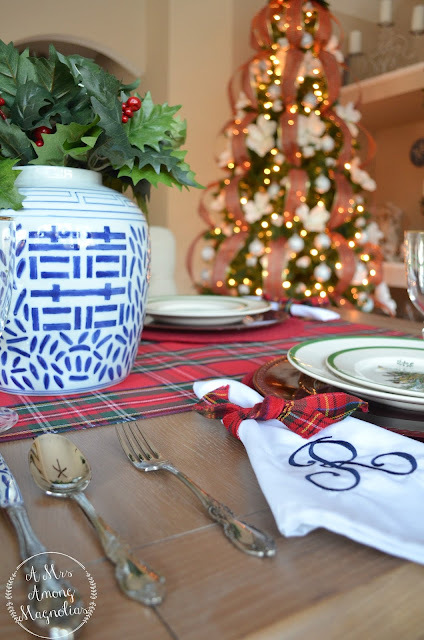 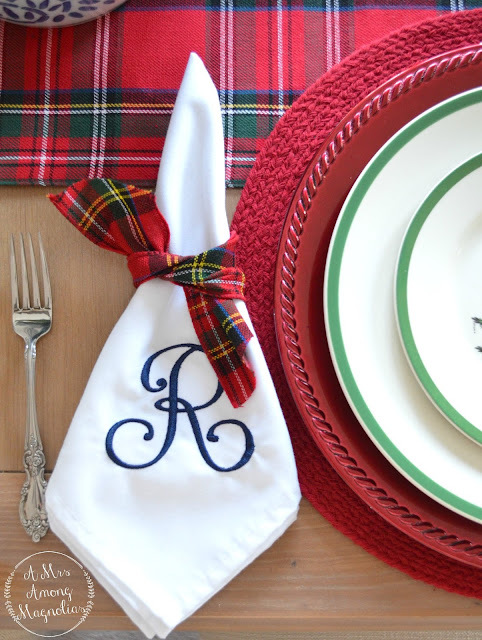 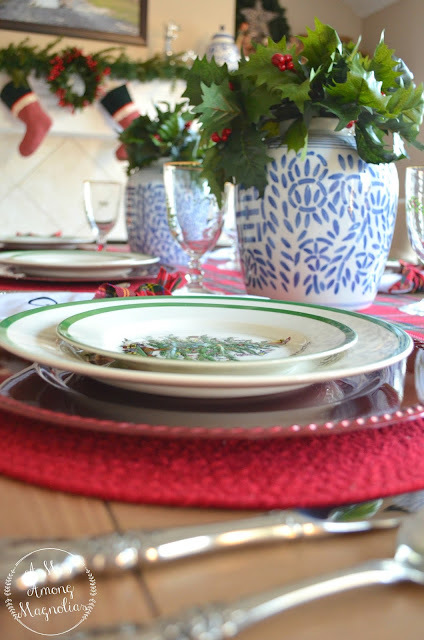 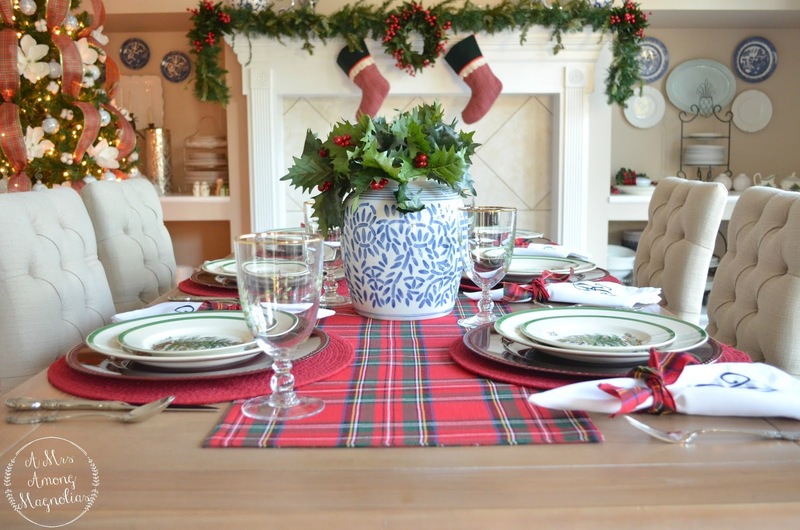 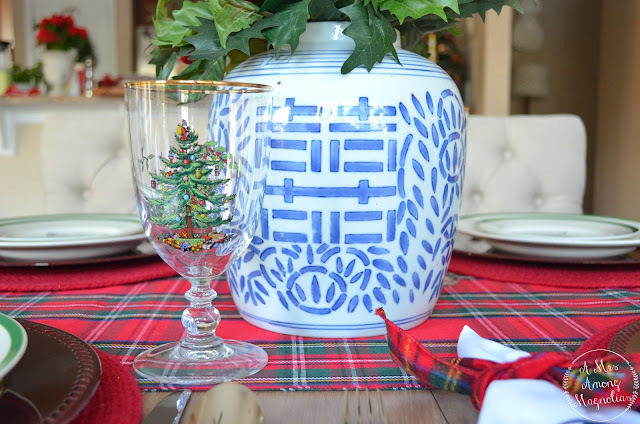 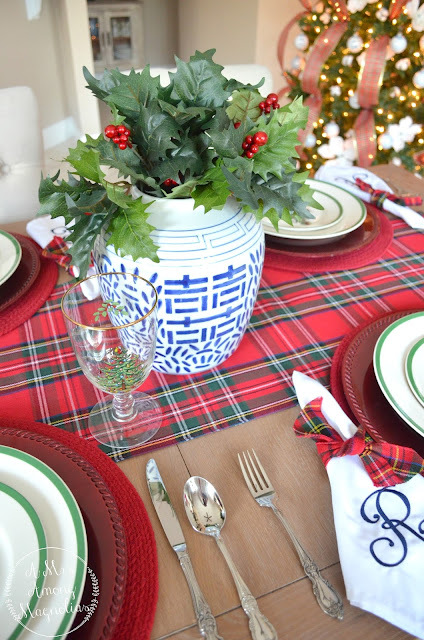 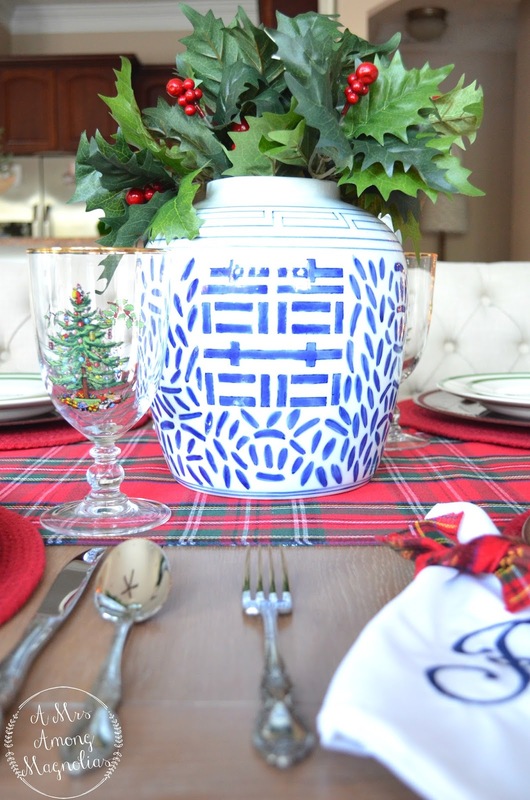 The Christmas Tree Spode and Tartan mix so well with blue and white! 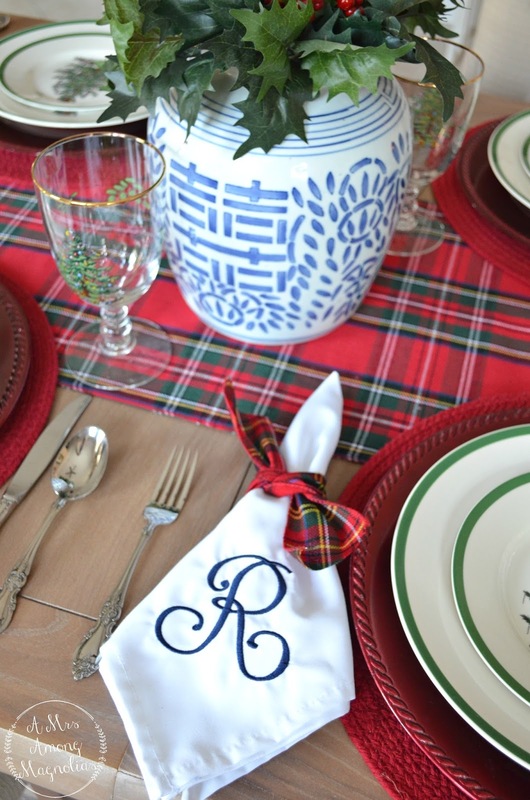 I still have a few more tablescapes up my sleeve so be sure to come back tomorrow!